UGG is a brand name of Australian-made sheepskin boots. 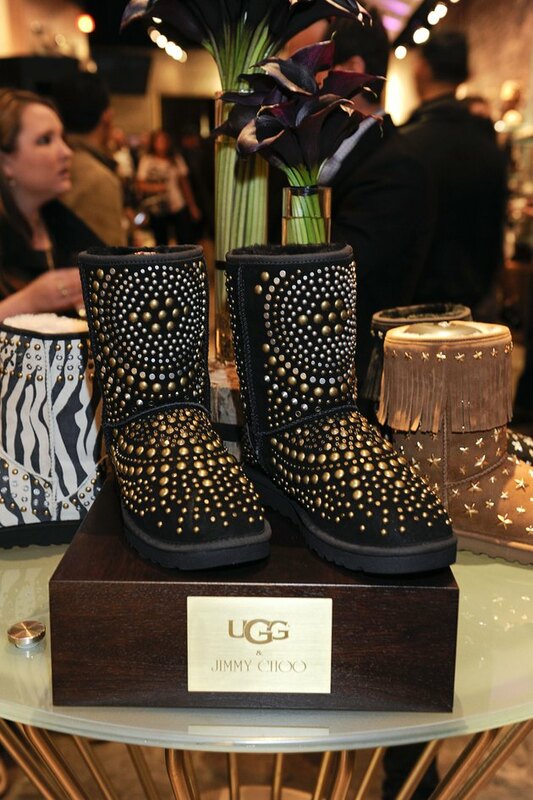 While the styling of UGG boots is very popular, the appeal is quickly lost when the boots become stained. Oil stains, such as those caused by vegetable oils, are often among the most dreaded fabric stains due to their insoluble nature. If you've stained your UGGs with oil, you must gently hand wash them to avoid further damage. UGG boots must be hand washed to remove stains. Gently blot the stain with a clean white cloth or paper towel to remove excess oil. Blot the stain using a clean area of cloth each time until no oil is picked up. Avoid vigorous rubbing of the area as this will cause damage to the delicate sheepskin. Lightly rub the area with white chalkboard chalk. Allow the chalk to sit for 30 to 60 minutes to absorb the vegetable oil. Dust the chalk off with a clean soft cloth or a suede brush. Repeat this step as many times as necessary as long as you're making progress. Dilute a mild, gentle wool detergent or sheepskin shampoo (found at many shoe retailers) with equal parts cold water to remove any remaining oil. Wet the entire exterior of the boots. Do not soak the boots with water, but apply just enough cold water that the entire surface is wet to the touch. Apply the diluted cleaning mixture to a clean soft cloth or sponge and rub the ends together to create a lather. Scrub the area lightly until clean, then rinse the boot with clean, cold water. Stuff the boots with newspaper or paper towels to help the shoes keep their shape while drying. Ring excess water out of the boots and place them in a safe, dry area to dry. Ensure that the boots are not in direct sunlight or intense heat. You must let the UGG boots air dry naturally. Do not use a hair dryer or heat source to apply heat. Brush the boots lightly with a suede brush once dry. Mix 2 tsp. of baking soda with 2 tsp. of corn flower and sprinkle inside the dry boots. This mixture removes odor left behind from the cleaning process. Allow mixture to sit overnight and shake it out prior to wearing. Spray your UGGs with stain- and water-repellent for sheepskin for protection from future stains. This is available from most shoe retailers.